The IEEE Computer Society Kerala Chapter was one of the recipients of the coveted “Outstanding Chapter Award” for the year 2018, globally. The Kerala Chapter has contributed to the Society and has honed its members’ repertoire through a series of events, sessions, and practices, which in turn has yielded a respectable number of REM scholars in the years leading up to this award. 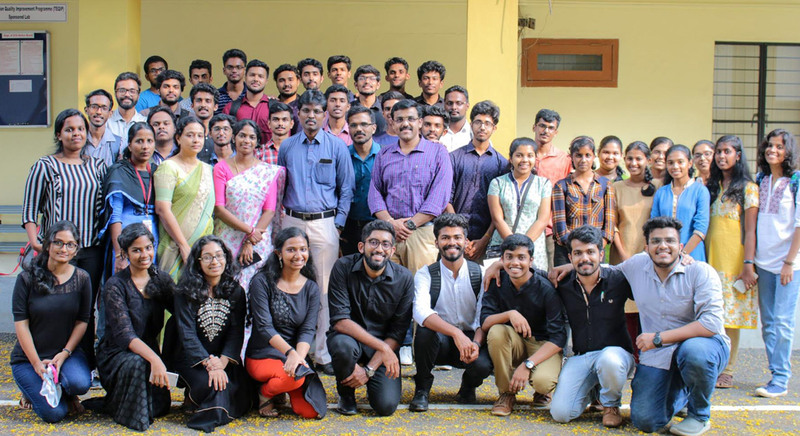 Improved communication between Student Branch Chapters along with collaborative efforts of Chapters across the state – apparent from the All Kerala Computer Society Student Congress that featured a unique exposition, and consistent member development that witnessed a boost in the number of CS Chapters from 17 to 23 in 2018, are all testimonials to the best practices that were adopted. 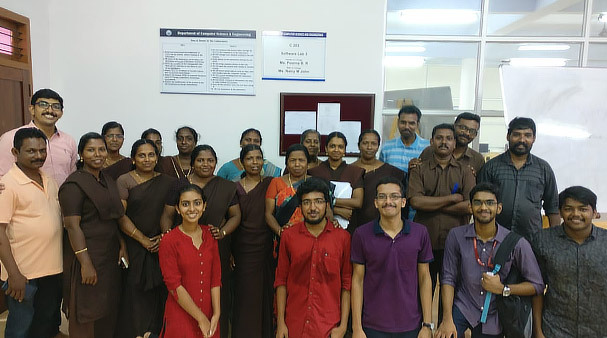 IEEE Computer Society Kerala Chapter deployed a few new initiatives that indubitably aided in the holistic development of its members: A technical blog hosted on Medium platform with the publication being named as Tech Bridge was launched. The E-newsletter of IEEE Computer Society Kerala Chapter– Compile was released in every quarter of 2018. Introduced webinars that could be attended by student and professional members alike, and conducted a Pre-Xtreme Competition at the state level to bring forth the cream coders to compete in IEEE Xtreme. The website ( cs.ieeekerala.org ) was revamped and social media handles on Instagram, Twitter, and Facebook, with over a thousand followers on the former two platforms, have actively contributed to the success of events conducted and information broadcasted by the Kerala Chapter! A chatbot is an AI driven software that can interact with humans in natural language. Chatbots are usually seen in websites and mobile apps. Advanced chatbots like Google assistant, Siri, Cortana, Bixby, etc; are commonly known as digital assistant systems. - Why should you care about Chatbots? Chatbots help to streamline the interaction between customer and services, thereby boosting customer experience. After the training, testing and deployment cost of the Chatbot is met, Chatbots help in cutting down customer service cost of an organization. Chatbots can be considered as an extension to a generic Question Answering system made better with the boom of big data. In its basic form, chatbots utilise a conditional “IF….ELSE IF…..ELSE” statement to compute responses from the user’s input, by searching for an appropriate answer from the data set it is provided with. Machine Learning algorithms are used to “teach” the bot regarding the type of response for a particular input, and Natural Language Processing along with semantic understanding is used to condition the chatbot to more vague inputs-the actual way that humans speak. - How does a Chatbot work? In a broad sense, a chatbot returns a response based on the input the user gives. This is however, not so easy as it seems. The chatbot identifies the user's request with proper algorithms, extracts the relevant parts of the input and gives an output. This output can be a predefined text or a combination of texts from a knowledge base. The bot should be provided with ample data sets for effective communication. 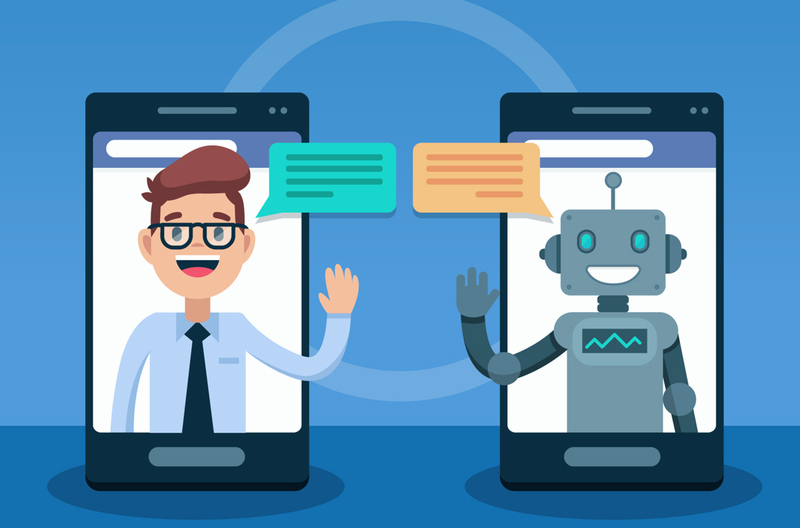 There are primarily two types of chatbots: One that responds to only specific commands, and another that responds to more ambiguous inputs, made possible with NLP and machine learning as discussed above. The Annual Chairs Meet is a meeting conducted every annum, for briefing the newly elected Computer Society Chapter Chairs of Student Branches across Kerala about their responsibilities, announcing the newly elected section volunteers for 2019, present reports and to felicitate those volunteers who have displayed exemplary skills in volunteering. 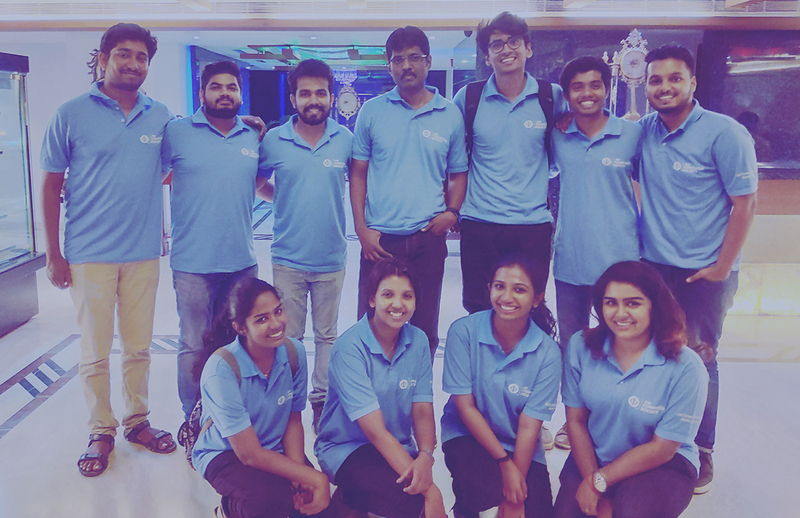 The event was presided by the faculty advisor of IEEE CS Chapter of the host college, the Secretary, Vice Chair and the Chair of IEEE Computer Society Kerala Chapter, and also the 2019 LINK team, Travancore VSAC, and the SAC of IEEE Kerala Section. Representatives, mostly the Chapter Chairs from various colleges, were informed about their responsibilities in a peer-to-peer session and were introduced to the newly elected Section volunteer team simultaneously, for correspondence in case they required help. This introductory session was followed by the annual report by the Secretary of IEEE Computer Society Kerala Chapter. The representatives from 13 Student Branches across Kerala presented their report for the past year as well. An open discussion headed by the Chair of IEEE Computer Society Kerala Chapter regarding the activities of 2019 and focus points to be noted, was also held, which saw active participation from the attendees. The Student Activities Chair, VSAC of Travancore Hub and the Vice Chair of IEEE Computer Society Kerala Chapter delivered their thoughts on the course of action for 2019. 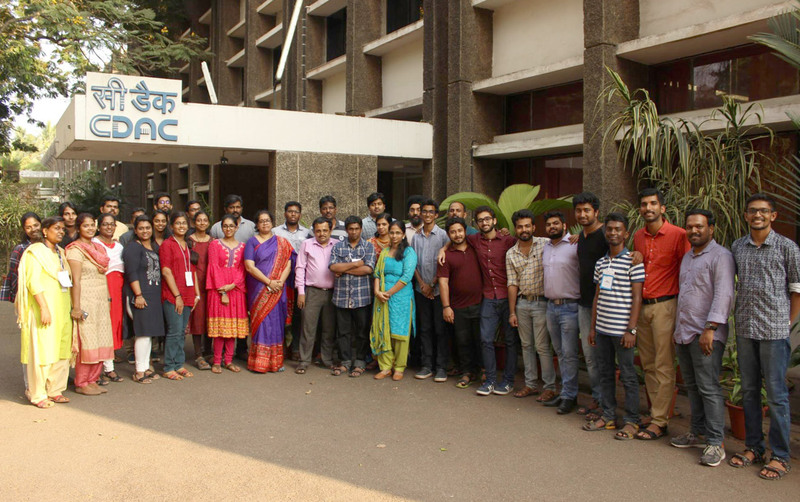 IEEE Computer Society Kerala Chapter in association with IBM, conducted a two-day, hands-on comprehensive workshop on blockchain and its applications. The purely technical workshop was aimed at professionals and passionate students interested in learning the technology in-depth. The event was handled by industry professionals from IBM, Bangalore - Mr.Manjit Singh Sodhi and Mr.Rahul Jain. The two days of the event saw discussions from the basic concepts of blockchain, to the benefit of a blockchain platform, an in-depth look into Hyperledger Composer and its applications, the blockchain solution architecture, the industrial outlook of the ledger technology and the elements of a business network. The workshop ended with a discussion on Hyperledger Fabric Application Development. The event saw participation from professionals and students from all across Kerala, was interactive, and received praise from the participants since they were able to communicate interactively with the instructors. An event named VIDYA was conducted by the CS Chapter at Mar Baselios College of Engineering and Technology, on March 9, 2019. The event primarily focused on Cybersecurity and cybercrimes. The event was to make students aware of how the cyber world works and how we should prevent ourselves from the attacks of the cyber world. Sixteen Students participated in the event and all of them were proud to make themselves aware of the cyber world, the beauty of it and the possible threats of cyber world by attending this section. 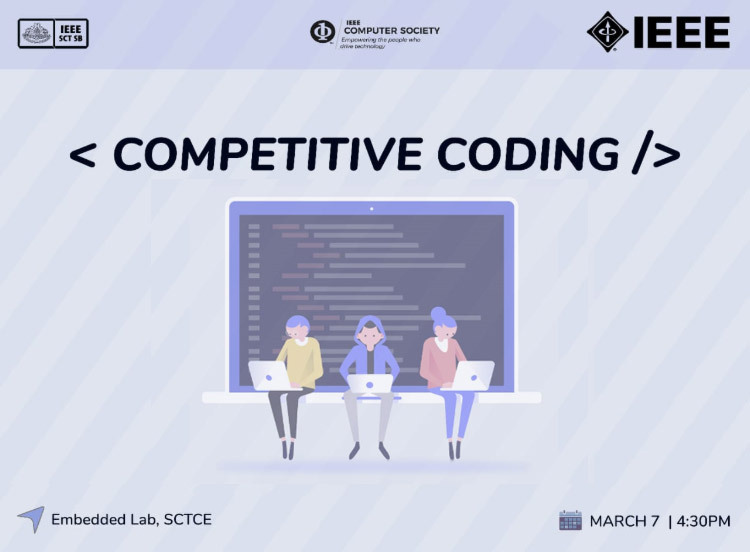 An event on Competitive coding was conducted by the CS Chapter at Sree Chitra Thirunal College of Engineering, so that students will be able to equip themselves with the necessary coding skills during their pursuit for their dream job. The sections were handled by Kannan KDP and Mr. Govind P who are highly skilled at problem-solving and code optimization. Competitive programming is a mind sport usually held over the Internet or a local network, involving participants trying to program according to provided specifications. Contestants are referred to as sport programmers. Most of the sport programmers in the event were able to pull off the task given them in a creative manner which indeed made the event a grand success. A total of thirty-one people participated in the event. A series of talks aimed at the technological upliftment of the participants were designed to be conducted by the CS Chapter at Model Engineering College. One such talk was about Hydra, 3rd Generation Web APIs and its application in various fields by Devdutt Shenoi. The event took into consideration current API designs and how application of various technologies such as schemas can be better utilised to provide a more dynamic and break resistant API structures to combat brittle client problems. 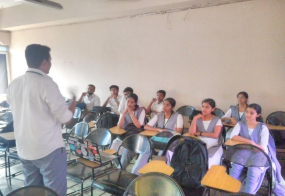 They also held another talk on Docker, taken by Kurian Benoy, FOSSASIA OpenTech Winner.The session saw discussions about the difference between containers and virtualisation.The session was concluded by having a live demo of a flask web being deployed using Dockers.Both talks received praise from the student audience. 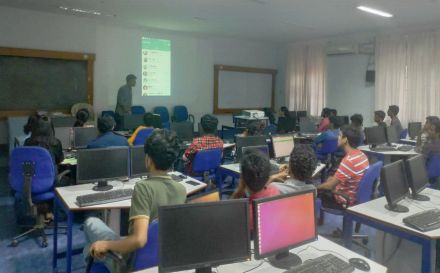 A workshop on UI/UX design was hosted by CS Chapter at College of Engineering Trivandrum, in association with FOSS Cell CET on 27th March 2019. The workshop was conducted as two sessions, 3 hours each. The initial session consisted of the resource person Rohil Nair, giving insights on the need for good UI and UX designs. Major focus was on topics like the wireframe, the importance of UX design, followed by case studies on the UI/UX of popular apps like Instagram and Whatsapp. All participants installed AdobeXD, adobe’s UI/UX design application, for websites and mobile phones. The resource person then went on to give his views on the impact that a good UI/UX can have, on a prospective client/customer in deciding between apps of similar functionality. The session was well paced, accommodating everyone from absolute beginners to people with a strong understanding of UI Design. The session was very well received, and the feedback form provided displayed a positive feedback.